On the left side menu, you can find the daily challenges. 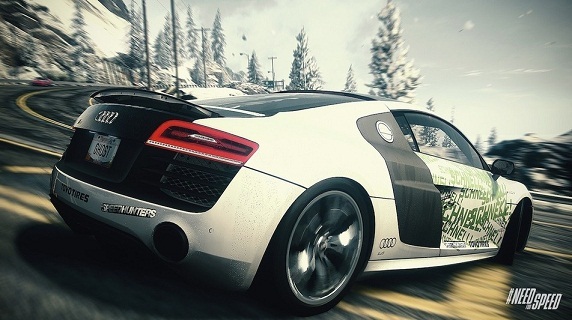 They will be explained by one of the famous racers from Need for Speed, so you can get started right away. The daily challenges bring great benefits. Masters this, you will quickly increase the monthly rank and unlock awards. In addition, completing the daily challenges effect positively on your reputation and you deserve REP points. With every new day you expect other day challenges. That means you have just one day time to complete this. That sounds time-consuming than it is, because you expect three challenges per day. Once you have completed them successful you will get a lot of REP-points, money and one more reward. Once you have completed all monthly challenges and reach your rank to 50 you can expect a special reward a car accessory and additional cash. The aim of this Daily Challenge is to complete five persecutions . This means that you should not avoid trouble with the police. Once you meet a police car, you need it to ram and then started the chase. Whether you don’t get caught or, the challenge is immaterial to the existence. You will collect many REP points and reward. In the race King event you have to win a certain race. Once you successfully complete the challenge you will get the following.